Medicine Unbundled by Gary Geddes is a humanistic look at the survivors from one of our nation’s most shameful institutions alongside residential schools: segregated healthcare facilities and the treatment of Indigenous peoples within these spaces. This book is woven from the courageous testimonies from Indigenous Elders and Geddes’ careful and investigative hand. Digging into locations rife with cultural memory, including the Nanaimo Indian Hospital and those largely unknown to the settler-gaze such as scarcely marked mass graves in the midst of the prairies, Geddes gathers firsthand accounts from survivors and their families. Together they wade deep into the atrocities endured, including scientific experiments, forced sterilization, and all manners of abuse, to shed light on the complex and unquantifiable legacy of these institutions. These stories are purposeful. As one teller puts it, referring to non-Indigenous people bearing witness to the Truth and Reconciliation Commission, “People get stuck in the story… They need to get down in the trenches and work for the people, with the people, try to assist in some real way.” And get down in the muck of our shared history Geddes does. Medicine Unbundled holds taut a complex web of the ways starvation, neglect, experimental medical procedures, and more continue to inhabit our communities as health inequities among Indigenous peoples. Many of the Elders’ sharings unfold amongst the stuff of daily life – in kitchens with grandchildren playing in the backyard, in roadside cafes over drip coffee, in carwashes on the way to medical appointments, on dusty gravel roads to the sites of some of these now deserted facilities. The accounts are visceral and disturbing, all the more so for the sense of ordinariness that accompanies them. Geddes’ salt-of-the-earth tone, and the company of the ever-shifting presence of nature in which he enfolds these stories, provide breathing space. Most importantly, the deep resilience and strength of the Elders at the centre of this book allows reading Medicine Unbundled to become a means of honouring their experience through a long, hard look at underpinnings of racism in Canadian society. Necessarily, Geddes engages in a meditation on the limitations of a white settler in authoring this text. He acknowledges that these experiences can never be fully understood from the standpoint of a non-Indigenous person, yet, the act of collaboration can be a vital one in ensuring these stories do not go unheard. 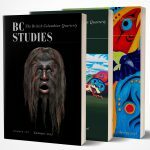 In a time when the recent Truth and Reconciliation Commission and the Inquiry into Missing and Murdered Indigenous Women and Girls occupy the same space as institutional injustice in Canadian courts and violation of Indigenous land rights, the telling of these stories provides a means of connecting with what’s in front of us: our neighbours. Geddes’ weaving of these brave narratives allows us to place these stories firmly in our own collective psyches and the landscapes we inhabit. Facilities such as the Charles Camsell Hospital are ones some of us pass by in our daily lives. The words of the survivors hold potential to become galvanizers and to root themselves in us in a commitment to get in our hands dirty with the work that needs to be done. As pronounced in the TRC report, “Reconciliation is not an Aboriginal problem; it is a Canadian one.” In one passage Geddes remarks on a particularly impacting testimony, “I’m realizing this is not just about him and me and Goodfish Lake. It’s about something larger, about our friendship and mutual liberation, our ability to learn from and transcend the travesties of our troubled and shared history.” The resilience of the speakers of these stories and Geddes’ compassionate and precise rendering of these shadowed narratives are hopeful medicine. Victoria: Heritage House, 2017. 319 pp. $22.95 paper. Truth and Reconciliation Commission of Canada. 2015. Honouring the truth, reconciling for the future: Summary of the final report of the Truth and Reconciliation Commission of Canada. Truth and Reconciliation Commission of Canada.